This was written by Deadhead, Luke Roland. The highly anticipated documentary on The Grateful Dead, Long Strange Trip, is now on Amazon Prime. 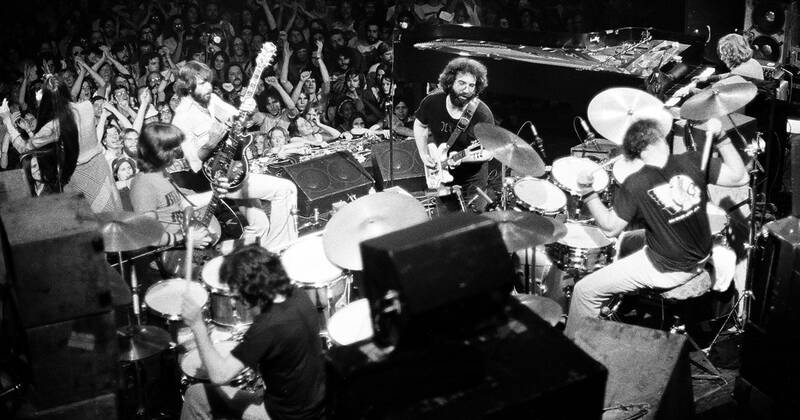 I have previously written about the effect that the music of The Grateful Dead has had on me for Mockingbird, and in light of the documentary I thought it would be a great time to revisit them in a Mockingbirdian context. 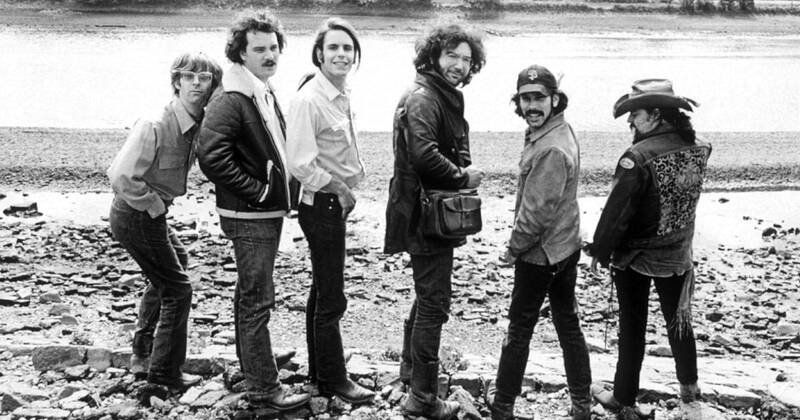 The Grateful Dead have had a positive influence on American culture, and continue to do so. They could be the most important American band in our history. I realize that is a tall statement, but think about it: they were the first of many in the music industry to have their own record label, to invent their own sound system, to allow audience members to tape their shows, to hold Guinness World Records, to have a strategic marketing plan that allowed fans to buy tickets directly from them. 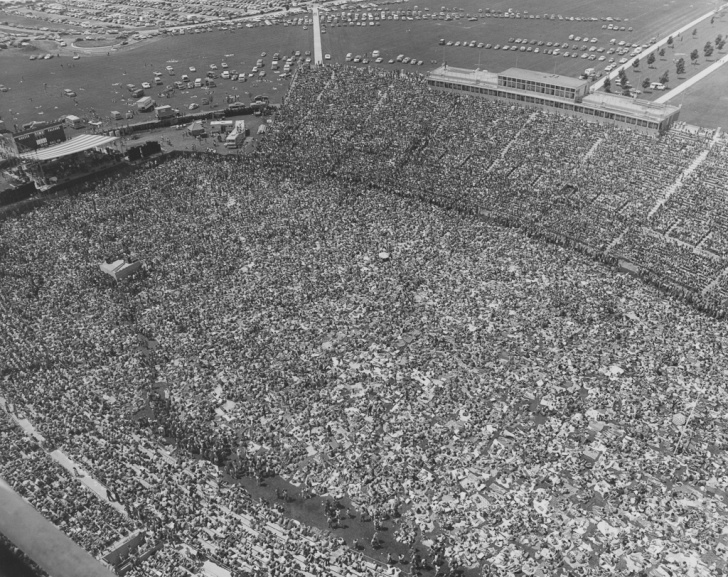 They played 36,086 songs, 2,317 concerts, 298 cities, for 30 years with 11 members. They were Americana before Americana existed. They are significant. To understand their relevance–and how they connected with me–it helps to understand the meaning of their name. Before they called themselves the Grateful Dead they were The Warlocks. After bouncing around the San Francisco Bay Area, they found out that there was another group who shared the same name, and they had to change their name. A dictionary was opened one day and their eyes serendipitously landed on Grateful Dead. Innocent as babes, they had connected with a motif that had twined itself throughout human history. The definition in the dictionary referred specifically to the nineteenth-century musicologist Francis Child’s term for a type of ballad. The grateful dead ballad or folktale concerns a hero who comes upon a corpse being refused a proper burial because it owes a debt. The hero resolves the debt and thus the corpse’s destiny without expectation of reward, often with his last penny. Soon he meets a traveling companion who aids him in some impossible task, who, of course, turns out to be the spirit of the corpse he aided. The motif is found in almost every culture since the ancient Egyptians. Unknowingly, the Warlocks had plunked themselves into a universal cultural thread woven into the matrix of all human experience. At the young age of five guitarist Jerry Garcia’s father passed away tragically. Jerry had to confront the hard reality of death at an age a lot of us never had to. That event naturally marked him in such a way that he became an explorer of death. He became obsessed with horror movies and Frankenstein. The event caused Garcia to lose faith in the reality of this world, and made him reevaluate what life should be for him in light of death. He thus opted for fun, weird, and free. Garcia wanted a spirit of adventure and felt like America had lost their ability to have adventure. He saw a lot of conformity in the world and wanted to go back to the days of hopping trains and being on the road. Because of Garcia’s dream to have an adventure, the Grateful Dead became a traveling circus and a vehicle in a lot of ways. They were a door of perception. They were in the transportation business. Taking people out of the pain and constraint and death of their own lives and giving them something to dance to. What the documentary does well is focus in on the ethos of the band. The Grateful Dead came as an alternative to life, and they also came for those who didn’t fit into modern standards of living we are given an alternative. One Deadhead commented that he was “not much for listening to rules” and “society is not cutting it for me.” I can relate. Jerry Garcia was very much a deliverer of bad news, but the news was packaged in a way that it was received by his congregation. The audience in large part identified with him lyrically because it was autobiographical for them as it was for Garcia. This is why I identify with it. I find my own story in the lyrics to their songs. But this band is also, of course, liberation for people–relief from the bad news, from the societal expectations and norms. This is one of the big appeals to me; like everyone, I have a problem with my current state of being. Life is not easy. I remember Paul Zahl saying at a Mockingbird conference a few years ago: “the purpose of life is to try to find a way out of it.” This music is my way out. The band had a graceful acceptance that I’ve often not found in life. It doesn’t matter how weird and different you are…you are welcome at a dead show. 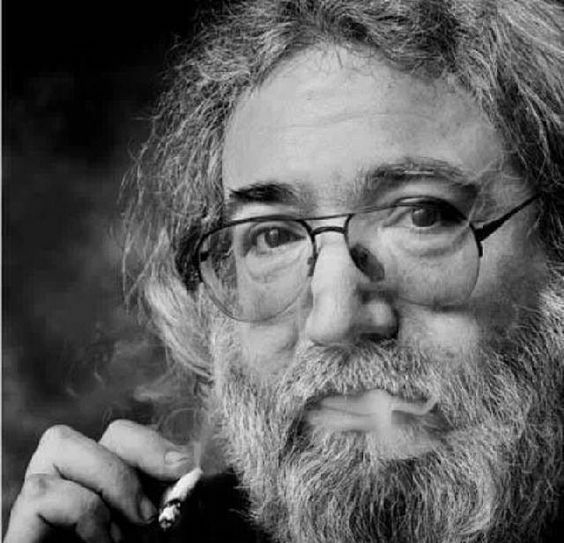 A Dead show is a celebration of the freedom that death brings. As Robert Farrar Capon puts it, “Death is the operative device that sets us free in Christ — that liberates us from the fear of loss that otherwise dogs our every step.” A Dead show is the best vaudeville funeral you could ever be a part of. One interviewee likened Jerry to a minister. Judging Jerry historically, I would have to say he is probably the best minister you could ever have. He would been an amazing priest because he hated telling people what to do and he was an amazing listener. One interviewer even accused Jerry of being too forgiving. However, law in a sense won with the story of the Grateful Dead as the band’s popularity grew. The band that was obsessed with freedom and being counter-cultural ended up falling. Rhythm guitarist Bob Weir pointed out that Jerry Garcia became a messiah figure to people, and in an old interview Garcia said “I’ll put up with it until they come at me with the cross and nails.” In that statement I believe you can see the failure of the Grateful Dead. Jerry was so loving and accepting that he “put up with it.” He was something special to the world, to me, and to his fans, but there never was a good balance in his life to deal with the expectations of being an artist. The man who hated responsibility and rules ended up being responsible for the organization of the Grateful Dead. It became more than music. It became an industry. It became too powerful. Jerry Garcia was the man lifting burdens off of people night after night, and that in turn became his burden that he could never lift himself. Which is true for all of us, no amount of unction or sweat can lift the monkey off our back. The demand to perform night at after night and meet expectations drove Jerry ultimately to his death. He ultimately lost his freedom and suffered under the weight of responsibility. Surprisingly, though, the music has never stopped. People like me are still gathering to listen. We’ve heard these songs over and over, but the world hasn’t changed. What Americans were looking for 50 years ago during the summer of love we still want. The Grateful Dead are an interesting contrast to the modern obsession—in some circles—with prolonging life and possibly living forever. Life to those obsessed is a school from which they fear to graduate. “Today is the day the Lord hath made. Rejoice and be glad in it.” And don’t waste it by fearing death. Keith thanks for your comments! I think your right on. Thanks so much for sharing, Luke. Although I am a younger Dead fan, I have been listening since I can remember and I have spent a lot of time seeing iterations of the Dead, as well as other similar bands that followed. I always find it difficult to explain why the music is so meaningful, and this piece does an excellent job conveying the way so many of us think about it. Throughout the “deaths” and most difficult times in my life, the inspiration has continued to move me brightly! I feel blessed that the music has never stopped. Thanks! We will be in touch, Luke! I think it was 1969, freshman year of high school, when I first saw GD performance on tape–and at the time didn’t have a clue as to who they were. Most of the guys wore cowboy hats but the music did NOT sound country ;o) Pigpen immediately drew my attention and at the time for all appearances looked like the band leader. The first vinyl I bought was Live Dead–and still have it. From 1972 until about 1981 I didn’t catch anything by Dead. One day I was in a record store and bought a “cut out” (the track listings on the cover didn’t match with the labels on the record) of Terrapin Station–and immediately hated the album. They had changed so much in the time I was out of touch. Within 2 years I had “caught up” with all the changes; Pigpen dead, Donna and Keith coming on-board, evolution of the music itself, etc.. I first saw them live at Shoreline (2 nights) around 1992. Tickets were $35, if I remember correctly, and were difficult to get. First time I had ever been frisked going into a show. Saw them last at the Pyramid 4/2/95 along with my 10 yr old daughter– second set was breath-taking as normal. Brent Mydland was an amazing, energizing addition to the band. The 80’s wouldn’t have been the same without him. RIP. Presently I’m enjoying Dead and Company. Mayer’s interpretations of the music is interesting and inspired, and, I think John is an inspiration to Bob, who’s singing seems to better than it has in quite some time. Burbridge on bass isn’t a Phil, but no less accomplished. Chimenti’s keyboard work is subtle, good, and he’s given more freedom than I perceived he had in Ratdog. Mickey and Bill still keep the train movin’. There are certainly a few good coverbands out there, but I’ve also noticed some bands of an entirely diverse genre that have incorporated a Dead motif of improv. I’m thinking especially of Railroad Earth. Hi Tom, I really enjoyed reading your comments and especially hearing more about you. I too on Live/Dead and several other LP’s. Ive gotten into vinyl collecting and hope to own their catalog. I’ve seen Dead and Company several times and really like what they are doing. John was an interesting choice but I think he gets the music and he is having fun. I love watching him. Thanks for recommending Railroad Earth, I will definitely check them out. You might like Chris Robinson Brotherhood. Even though Chris has strong opinions and can often be a little negative, his band has a dead feel to it…especially live.